The King of Pop Pub Crawl is all set for July 11, starting at the East Village's Pourhouse -- where "your white glove awaits". 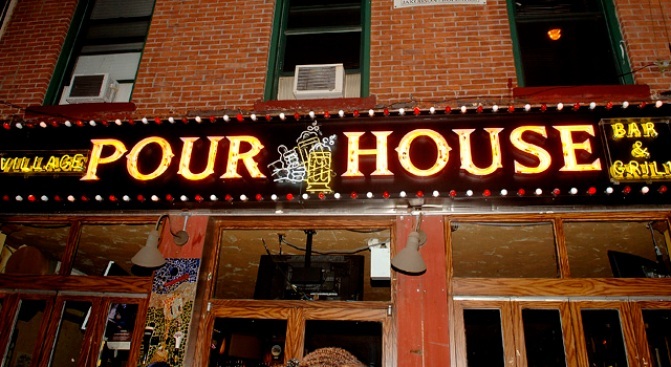 You know, we kind of had a hunch Village Pourhouse – multi-location home of $1 Bud and frat bait – would jump on the Jacko-wagon, but we weren’t quite prepared for the extent they’d go to. We'll know better next time. Starting at 11AM on Saturday, July 11, the King of Pop Pub crawl will take you from the East Village’s Pourhouse – where “your white glove awaits” – up along the east side (hitting four other bars along the way) to sideBAR, where at 5PM you’ll “pay a final tribute with an organized THRILLER dance scene with every Michael in attendance.” Translation: You’ll get to watch (or join) a crowd of single-gloved thirty- and forty-somethings do the zombie dance (side to side… and clap!) while plastered off their Dockers on dollar drafts and Billie Jean-Tinis. Crawl tickets are $20 (available here). And as they point out at Grub Street, you really can’t appreciate the nuances unless you read the full event description (example: “You will feel like a SMOOTH CRIMINAL with a full day of drink specials”). Stay classy, Village Pourhouse!